I am sometimes my own worst enemy. My expectations are set high, sometimes unrealistic. Right about now I can hear Ellen Griswold rattling off all of the times Clark set the bar so high that no party, graduation, Holiday or vacation could ever live up to what he imagined. 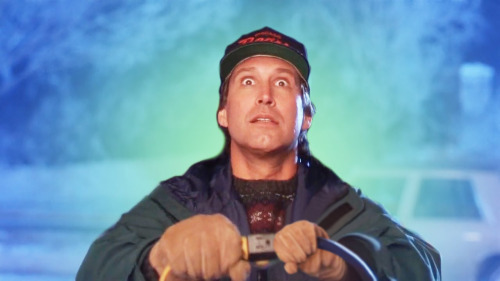 That’s me, Clark W Griswold and I am in search of the perfect everything. In some instances it has served me well and in others, I have set myself up for unnecessary disappointment. Christmas seems to be starting earlier and earlier every year, only contributing to the panic that is getting your gifts, plans, and decorations just right. It becomes about who’s going where, what party and which charities if any are you giving to. The list goes on and on. I am a believer in things coming our way when the time is right. The problem is, you have to let it happen rather than control the course. This is especially true at Christmas time. I have a lot of expectations for the perfect Christmas card, the perfect gift, attending the right holiday activity to create just the right amount of magic for lasting memories. Over the Thanksgiving weekend I had a lot of ideas about how the kick off to Christmas would go. The Polar Express, tree lightings, maybe some shopping and a day to relax at home. This is how the weekend actually went, the Polar Express sold out of tickets before I even had a chance to review times and dates, I dragged my family to Patriot Place for the lighting of the Giving Tree with promises of nutcrackers dancing and Santa Claus but what we got was a sea of people pouring out the stadium after a professional soccer game and a sign stating that the tree lighting was the following day. We tried to wrap up the weekend with brunch which basically turned into my youngest trying to throw food and plates off the table and my oldest needing to take several trips to the bathroom, because well public restrooms are super cool so have to check them out multiple times, of course! Needless to say, this was not the weekend I had in mind. I was upset and disappointed. We’re now a few days out from Christmas and I’m committed to remaining calm. I didn’t have time to do a Christmas card this year, so maybe I’ll do one for New Year’s! With the addition of online shopping, suddenly Holiday shopping stress has decreased. I’m nearly done, and I have only set foot in the mall once! My kids have absolutely loved decorating our tree this year, even though it took us about a week to finish. Our Elf Bradford has been up to no good to the absolute delight of my 3 yr old. We have watched Christmas movies, received letters from Santa, made cookies, ate most of the candy canes and put up our stockings. I want to spend every moment possible not thinking, planning and refining ….. but laughing, eating and snuggling with my family. I would rather look back at this year and feel satisfied that I did my best, not disappointed that it wasn’t perfect. My wish for all the amazing mamas out there is to enjoy a happy and healthy Holiday season and for the wisdom to understand that this sometimes begins by letting go of the pressure were inflicting on ourselves. Christmas is about the magic and wonder of childhood so let your kids take you there, you won’t regret it! 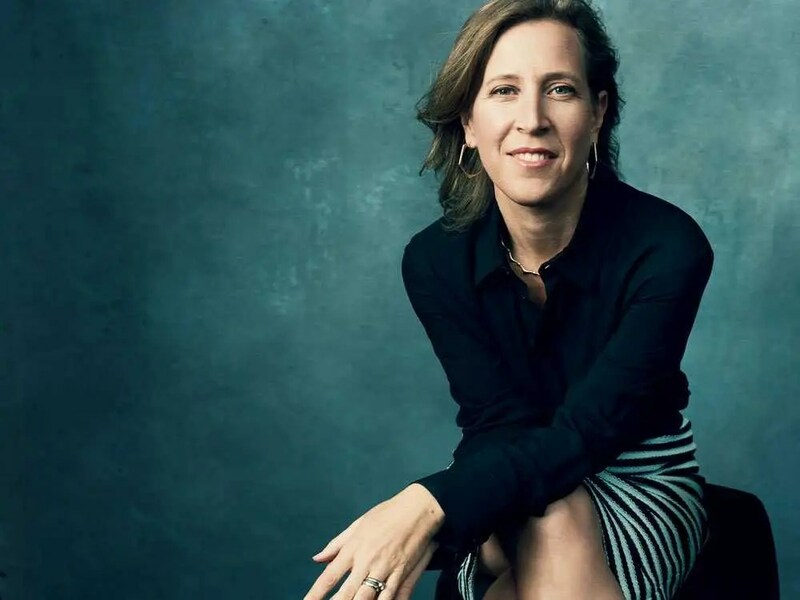 Susan Wojcicki, the CEO of YouTube explains why paid maternity leave is good for business in her most recently published article in the Wall Street Journal. She propels this issue to the forefront of our minds as we head into 2015, taking an influential stance on the importance to continue this conversation. This month, I’ll go on maternity leave once again—my fifth time—joining the nearly 5,000 women who have done so since I joined Google. And though I’m now CEO of YouTube (which is owned by Google), I’ll be entitled to the same benefits as every single woman at the company who has a baby: 18 weeks of paid maternity leave. Having experienced how valuable paid maternity leave is to me, my family and my career, I never thought of it as a privilege. But the sad truth is that paid maternity leave is rare in America, and the U.S. lags behind the rest of the world in providing for the needs of pregnant women and new mothers. Susan not only highlights the recent reports released by the Department of Labor regarding statistics on the U.S. being the ONLY developed country in world that doesn’t offer government-mandated paid maternity leave, but also points to the Family and Medical Leave Act of 1993 as a step in the right direction, but being unpaid —does not offer enough substance for women and families to adequately support their families while on leave. The statement that has drawn the most media attention, that paid maternity leave is GOOD for business is backed by data that paid leave not only offers more productivity upon return, it enhances overall company morale. Paid maternity leave is also good for business. After California instituted paid medical leave, a survey in 2011 by the Center for Economic and Policy Research found that 91% of employers said the policy either boosted profits or had no effect. They also noted improved productivity, higher morale and reduced turnover. That last point is one we’ve seen at Google. When we increased paid maternity leave to 18 from 12 weeks in 2007, the rate at which new moms left Google fell by 50%. (We also increased paternity leave to 12 weeks from seven, as we know that also has a positive effect on families and our business.) Mothers were able to take the time they needed to bond with their babies and return to their jobs feeling confident and ready. And it’s much better for Google’s bottom line—to avoid costly turnover, and to retain the valued expertise, skills and perspective of our employees who are mothers. Best of all, mothers come back to the workforce with new insights. I know from experience that being a mother gave me a broader sense of purpose, more compassion and a better ability to prioritize and get things done efficiently. It also helped me understand the specific needs and concerns of mothers, who make most household spending decisions and control more than $2 trillion of purchasing power in the U.S. It is refreshing to see women in executive level positions, who are career focused and also mothers –support and enhance the growth of this movement and continue this very important conversation. Thank you Susan and all Blissfulmamas who have lead the effort for change to embrace paid leave in 2015. The time is now. MA Conference for Women: Why Hillary Clinton is the Most Influential Woman of Our Time. After attending the MA Conference for Women in Boston last Thursday, December 4th, it took me some time to process what I had just experienced. In a sea of over 10,000 women, how do you decipher the takeaways? For me it was easy. Hillary. Amid the surface level discussions of leaning in, work-life balance, and how to become a super negotiator, the conference was riddled with key note speakers who had something important to say: Today we stand with women of all cultures, different professions, and we join together to celebrate our success. The Former Secretary of State, Hillary Rodham Clinton joined the conference poised and ready to discuss current events. She touched upon the Brown Ferguson tragedy in addition to the Garner case, noting that “these are our sons, our brothers” and the most important thing that each of us can do is to try harder to see the world through our neighbor’s eyes. She was distinct in her positioning on the fact that weapons of war have no place on our streets, yet thoughtful in her words on how these events affect our lives, our children, our future. When raising a boy, the crash-bang-boom of it all is silenced when you see a tragedy like this. Could this happen to my child when he grows older? How does his skin color protect or portray my child in a way that makes him dangerous? It’s a tough pill to swallow. Hillary traversed into crediting our founding Massachusetts mothers, my personal favorite Abigail Adams, who was a pioneer for women’s rights. She quickly uncovered the raw truth in how the gender pay gap continues, the difficulty in balancing motherhood and work, and how women get the motherhood penalty, while men often get the pay bump. The ringing truth of these challenges faced by all women who remain focused on their career in addition to having children, is a sound reminder of the enormous work that lies ahead. Massachusetts is only the 3rd state in the country to require paid leave for personal or family member sick time. The thing I most appreciated was the honest dialog, her resonance in talking about the hard issues that women face today and the criticism we all receive for having these conversations. As women continue to have these conversations, we are enabled to grow with a resounding voice. The world needs more Hillary Clinton’s. We need women who have a voice, and offer their insight into important issues. The platform for these topics must be broached. This is our opportunity to propel this movement into the 21st Century, and influence each other in a sense that we can experience the change first hand, rather than waiting for generations to come. …Talent is universal. But opportunity is not…. We are so excited for our dear friend Angie Andrews and her recent publication; The Guide to Creating Your Own Self-Care Revolution in the Huffington Post! Angie Andrews is a mama, wife, yogini, entrepreneur and a radical self-care revolutionary for women. Her mission spreads the word to women all over the world that they are enough and they are worthy of copious amounts of radical self-care. She supports women through private coaching, public speaking, and soon to be born destination retreats. Angie can be found at www.angieandrewsinspire.com, on Facebook and on Twitter and Instagram @AngieAndrewsInspire. I am starting a revolution. In this revolution women know their innate and intrinsic value. In this new world the concept of caring for oneself first is not only acceptable, but embraced. I dream of the day when women see their daily self-care practice as a non-negotiable part of their routine. I live for the day when loving oneself deeply is not seen as selfish or arrogant, but necessary. My call to action for any woman reading this: Stop running around and keeping busy to drown out the cry of your soul. Stop putting others needs ahead of your own. Stop caring for others at the expense of your health and your happiness. It doesn’t have to be this way. There is another way. It all begins with the decision to love yourself deeply. Perhaps you are thinking, OK that sounds great, but how the hell do I do that!?! I am going to tell you what I have learned. In the not too distant past I was working way too many hours in a job that was sucking my soul. I was always on the run between commuting and chauffeuring kids to and from school and activities. I became more and more uneasy and resentful. I felt stuck. I felt overwhelmed. I was exhausted. But yet, I kept on going. I did this for years, until my heart and soul just couldn’t do it anymore. I was at my chiropractor’s office one day and he could tell I was exhausted. He knows me well and is aware of my propensity to care for everyone but me. He said, simply, “Angie, where do you go for support and comfort”? That day, something clicked and I realized things had to change. I started reading books and blogs and all kinds of personal growth material. Eventually I went on a retreat that for me was a catalyst for change. The act of investing in myself and time spent really reconnecting with myself; kick started an insane period of transformation and growth. I want to share with you a distilled version of what I have learned that has allowed me to really engage in radical self-care and fall in love with myself for the first time. The mantra for my business is: Where Love, Gratitude and Connection create Miracles. So let’s break this whole thing down to actionable steps based on this. Here is your guide to start a self-care revolution. • Love your heart. Listen to it intently. Speak to it. Ask it what it desires and needs. Then take action in the direction of what you hear. • Make caring for yourself a priority. Shower yourself with love. Only by loving and caring for yourself deeply will you be able to fully give to others. • Let go of old thoughts and ways of being that no longer serve you. • Be still. Just be. Give up the doing all the time. Learn how to say no when something isn’t going to serve you. You’ll be amazed at what you might hear and what you might feel. • Find your form of meditation. Meditation does not need to be sitting on a pillow chanting. Any activity that leaves you feeling connected to yourself and your higher power is meditative. • Move your body! Walk, run, dance, hike, swim, do yoga. Do whatever sounds good to you. This will stimulate the production of hormones in your body that will leave you feeling amazing. • Create a tribe of like-minded, supportive friends. Surround yourself with people who get you and will lift you up. If you current tribe is not serving you, consider cleaning house. Be kind. Be gentle, but do not allow those people who are bringing you down to remain in your tribe. • Nurture you creative side. Paint, draw, write, decorate or garden. I could go on and on. Get out of your comfort zone and get creative! • In the morning, evening or both, take some time to write down five to 10 things that you are grateful for that day. In the beginning you may find that your lists will be similar each day, but as you get into a gratitude groove, you will find there are so many things to be grateful for each day that you won’t be able to write them all down. • Make your gratitude practice a ritual. Buy yourself a beautiful blank journal that inspires you. Make it a special time for you. You deserve it! Radical self-care is a practice, meaning it needs to be done over and over again until it becomes part of your lifestyle. But here is the most important step to living a life of self-care and self-love, self-forgiveness. Please, be kind to yourself. Be patient. You will fall off the wagon. You will have days where you just can’t bring yourself to practice self-care and you will slip back to your former way of being. You will have days when you don’t really love yourself the way you feel you should. On those days, it is especially important, to practice kindness with yourself. Talk to yourself like you would a close friend or your child. I saw Danielle Laporte speak recently and she said, “Be fierce, but be flexible”. Be fierce in your desire and your practice of self-care. Fall madly in love with yourself and your life. But when you have one of those days where you just fall back into complacency, be flexible. Know that you can get right back at it the next day or the next week. You will do it because you deserve this. Love and joy are your birthright! So go out there. Start a revolution. I am SO excited to see what a difference it will make in the world.